Rebekah’s efforts have inspired thousands of others to step up their meal planning efforts. AS A teacher, Rebekah Freeman is used to planning a term ahead - a simple logic she cleverly applies to cooking too. 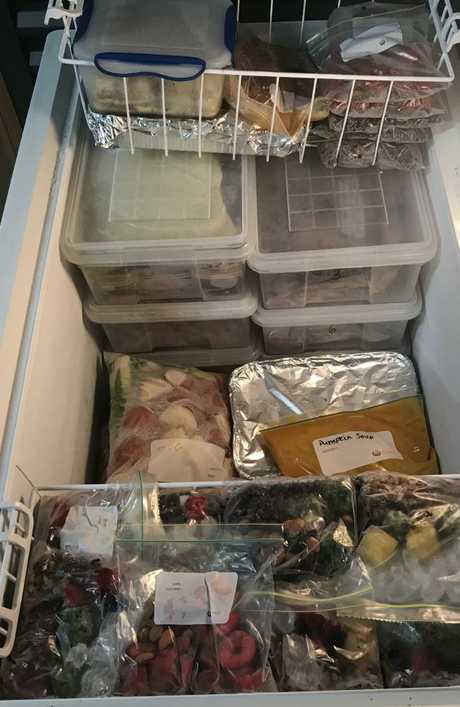 Every school holidays, the mother-of-three does a 'big cook-up', planning and prepping all her family's meals for the whole term - that's seven nightly meals for 12 weeks - or 84 meals for five. Her grand plan takes about two days to cook. After that, her feet are up, the freezer is stocked and the best part? She doesn't have to cook again for three whole months. "You know how you get at the end of the day - you're too tired to think, you can't make a decision and it's so hard. Rebekah has to carefully plan out a full term’s menu before she begins cooking. "I also have a chronic health issue and suffer from migraines, which can leave me unable to move and very sick - they happen regularly and I don't know when they are coming. "My husband is a nurse and works for a week in Cairns and then here for a week, so I have to menu-plan to be prepared." The highly organised schoolteacher starts her mission armed with cookbooks, her iPad and a good cup of coffee for inspiration - and it works. "I sit down and write out weeks one through to 12, and then I write one to seven on each week," she explained. "Then I break it down into one chicken meal a week, one fish or seafood dish, a roast or barbecue for the Sunday, one lamb, one beef, one vegetarian. "I do one soup a week in winter, and lasagnes, quiches and things like that as 'extras'. "Then I go through my books and find the recipes that I like, and I'll do three of each meal, or four if I really like it, and spread them out among the weeks so you're not eating the same thing all the time." Rebekah will spend two full days cooking for an entire term. Each of the 84 family meals are carefully packed and put into boxes for the week they’ll be eaten. Ms Freeman then writes out the ingredients for each recipe - like marinated chicken strips - and will add fresh vegetables or salad to the meal, which she also writes down. She'll then source her ingredients, going to the local farm for trays of fresh eggs, visiting local produce stores for seasonal vegies, ordering meat in bulk from nearby farmers, and filling in the gaps with an online Woolworths order. This term's cook up cost her $600 - or just $7 a meal. She then writes it all down on a $2 menu planner from Kmart. "Then I have a pile of extras - things like quiches or we love Jo Whitton's buckwheat crackers, or cardamom cakes - things for lunch box fillers," she said. "I'll buy half a pig or sheep from the local farmers, and from around week eight of the previous term I will start looking for meat on sale in Woolies or IGA to save money too. "Then I put two days aside and I go for it - all the groceries turn up the night before, I wake up and put on comfy shoes, pop on Netflix or a podcast and I get into it. 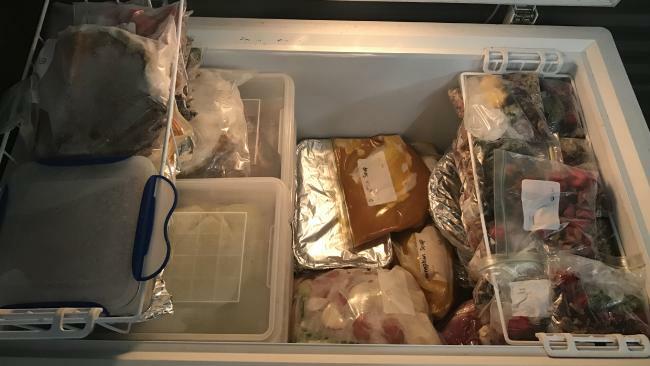 Rebekah’s deep freezer stores the meals for the whole term. "It's not that hard, and it's actually quite enjoyable." 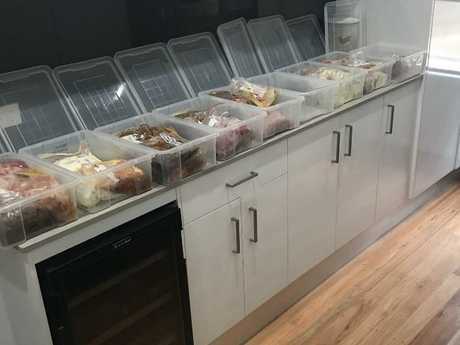 Ms Freeman then puts out clear plastic boxes labelled 1-12, and organises each meal so it goes in the right box - and then into the deep freezer they go. "I put them in order so one is at the top, two is next, and that's it - I take out the box on a Sunday night and it's all there - I just have to add my fresh vegies and salad." Each meal will be enough for five people plus leftovers for lunch - and it's changed her life. "I may open my freezer on occasion just to admire it," she laughed. "The response I've had has been quite surprising though, it's blown my mind. "It makes you feel good - I love it." Jo Whitton, Quirky Cooking author and friend of Ms Freeman, shared her meal prep hack with her online community, and was astounded by the positive response. 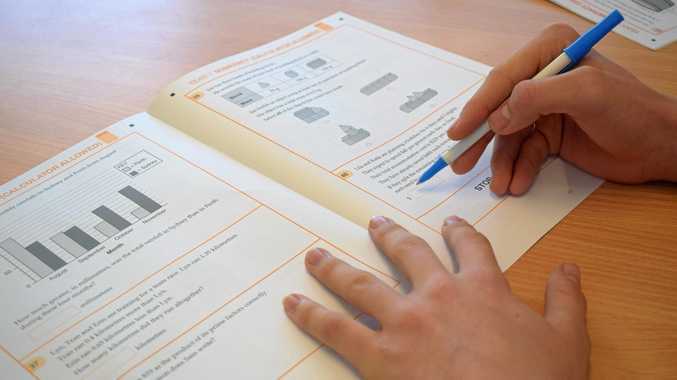 "When Bek first told me about her cook-ups for a whole term I was amazed," Ms Whitton told news.com.au. "I thought cooking for a week for our family was a gigantic task. "And what a response! Over 100,000 mums want to know more. "There are obviously a lot of people who want some help to keep up with healthy meals for the family, despite busy schedules."